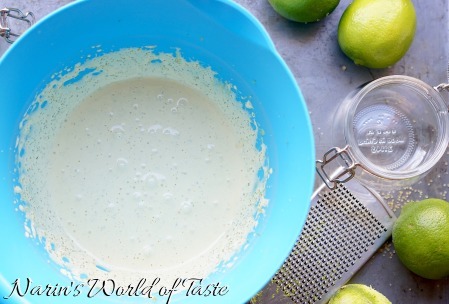 Wash the limes thoroughly under hot water and prepare three mixing bowls, a small pot, and a hand mixer. Place the gelatine leaves in a shallow dish and cover completely with cold water, let them soak for about 7 minutes. Separate the eggs into two mixing bowls, one bowl with the egg white and the egg yokes in the other. 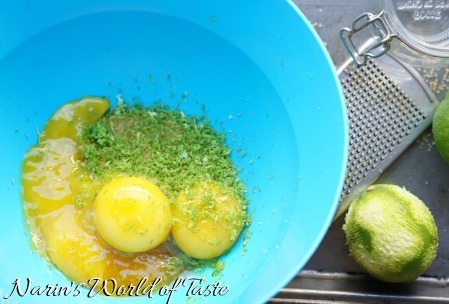 Add the unrefined brown sugar and the zest of two limes to the egg yokes. 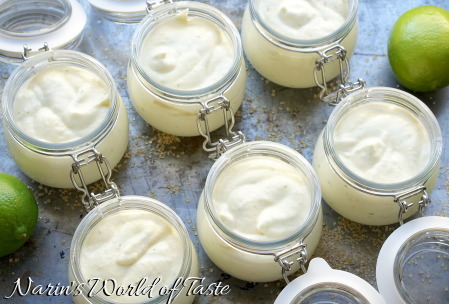 Whisk the egg yolk mixture until you end up with a very creamy consistency and the sugar has almost dissolved. Place in the fridge until needed. Drain the gelatine leaves and place them in a small pot with 1 tbsp water and heat to about 40 °C / 104 °F, it should be dissolved completely. If you use agar agar, dissolve the agar agar with 60 ml / 1/4 cup water, bring to a boil for about two minutes, then set aside. Squeeze the juice of two limes. 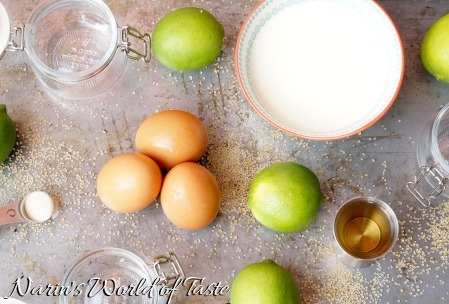 Take the egg yoke mixture out of the fridge and whisk in the lime juice and the Cachaça, then add the gelatine or agar agar and combine everything thoroughly. Place in the fridge until needed. 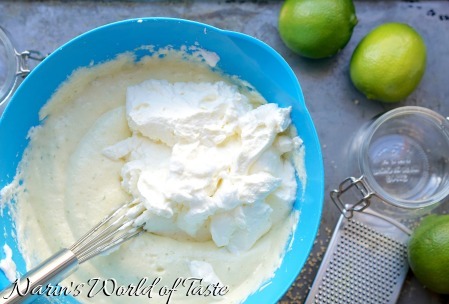 Whisk the egg white until stiff using the hand mixer. In a separate bowl, do the same with the cream. Remove the egg yolk mixture from the fridge and carefully fold in the egg white and then the whipped cream until everything is combined well. 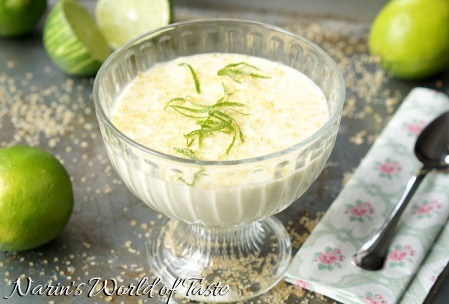 Pour the Caipirinha Mousse into nice dessert glasses and store in the fridge for at least three hours or overnight. In the picture above, I’m using a glass type that also makes it easy to transport the dessert in case you’re taking it somewhere. 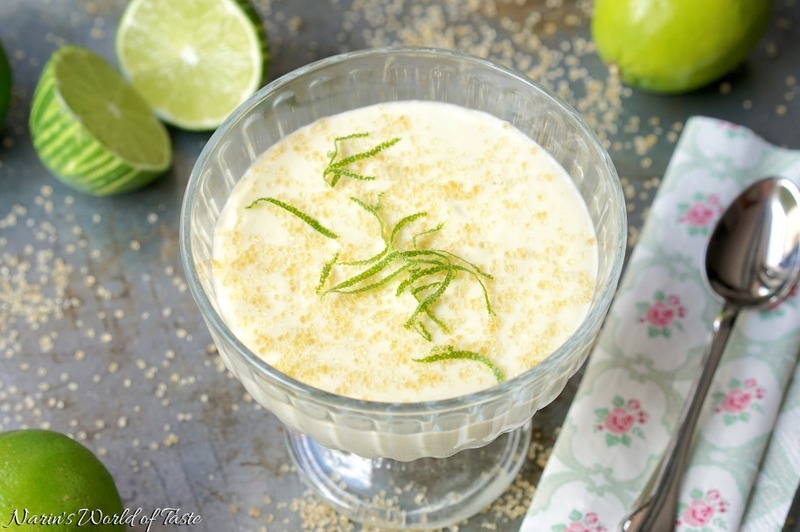 Just before serving, garnish the Caipirinha Mousse with unrefined brown sugar and lime zest. Note: If you have a cooking torch, you can caramelize the brown sugar on top a little before adding the lime zest.